28th July 1866, 2 Bolton Gardens, South Kensington, London, England. Beatrix Potter was born into a wealthy family and christened Helen Beatrix. Her father Rupert William Potter was a trained Barrister but rarely practiced. Given tuition by a series of Governesses. 1871: Beatrix has her first summer holiday at Dalguise House, Dunkeld, in Scotland, which she will revisit many times. 1872: Birth of her brother Walter Bertram. 1882: First visit to the English Lake District. 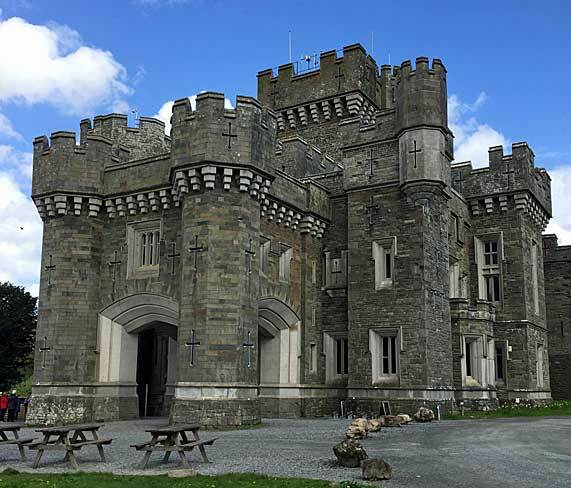 The family stays at Wray Castle. 1885: Beatrix is given a pet rabbit, which she names Benjamin Bouncer. 1887: Paints her first known watercolour of a fungus. 1890: Beatrix Potter rejects her final suitor brought suggested by her mother. Sells some of her illustrations which are turned into greetings cards. 1891: Death of her Grandmother Jessy. Illustrations rejected by Frederick Warne and Company. 1893: Writes the Peter Rabbit story as an illustrated letter to Noel Moore the five-year-old son of one of her governesses. 1895: Foundation of the National Trust by Canon Hardwicke Rawnsley, a friend of the Potter family. 1896: Beatrix goes visits the Director of the Royal Botanic Gardens, Kew with her uncle Sir Henry Roscoe to show him her fungus drawings. The family spend a summer holiday at Near Sawrey. 1901: Beatrix Potter made detailed up to this time numbering over 270. Encouraged by former governess Annie Moore to publish the story of Peter Rabbit she had given her son. She borrowed the letter back and made it into the book entitled The Tale of Peter Rabbit and Mr. McGregor’s Garden which she published herself as she could find no publisher. The publishers commented on the lack of colour illustration. 1903: Warne’s took out a patent on Peter Rabbit and created a soft toy to the design making him the earliest character from fiction to be mass-produced. 1905: Becomes secretly engaged to her publisher Norman Warne. Her family disapproved of her marrying someone from a lower social class. He tragically dies on the 25th August of leukaemia before the wedding. Purchased Hill Top Farm in the village of Sawrey which was run by her farm manager John Cannon. Peter Rabbit wallpaper goes on sale for the first time. 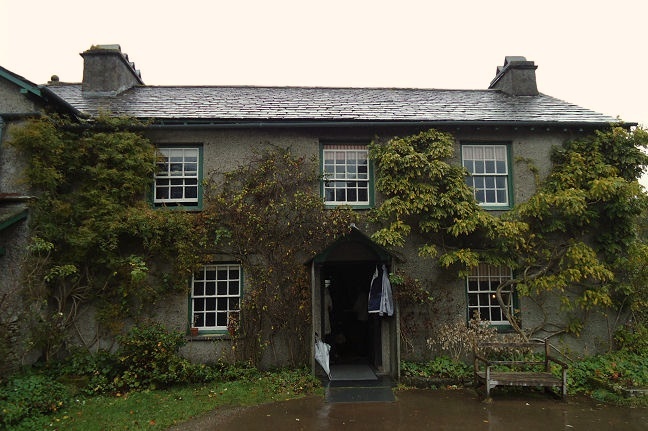 1909: Beatrix Potter buys Castle Farm in Near Sawrey. 1912: William Heelis proposes marriage to Beatrix. 1913: Moves to Castle Cottage permanently after her marriage to Heelis. She keeps Hill top Farm as a place to work. 1917: Harold Warne arrested for embezzlement in London. Beatrix’s work helps save the company. 1918: Death of her artist brother Bertram from an unknown disease. 1920: Death of Canon Hardwicke Rawnsley. 1923: Buys Troutbeck Park Farm. 1930: Buys the Monk Coniston Estate. Becomes the First Woman President of the Herdwick Sheep Breeders Association. 1936:Beatrix Potter refuses an offer from Walt Disney to produce a film of Peter Rabbit. 1897: Paper “On the Germination of Spores of Agaricineae” presented to the Linnean Society by her uncle Sir Henry Enfield Roscoe, as women were barred. 1902: “Peter Rabbit” first published by a commercial publisher; Frederick Warne and Company. 1903: “Squirrel Nutkin”. “The Tailor of Gloucester”. 1904: “Benjamin Bunny”. “Two Bad Mice”. 1906: “Jeremy Fisher”. “Miss Moppet”. 1908: “Jemima Puddleduck”. “Samuel Whiskers”. 1917: “Appley Dapply’s Nursery Rhymes”. 1913: To William Heelis, a Lake District Solicitor on 14th October in London. 22nd December 1943, Castle Cottage, Sawrey, Cumbria, England. Cremated at Carleton Crematorium, Blackpool. Her ashes were scattered in the countryside surrounding Sawrey. 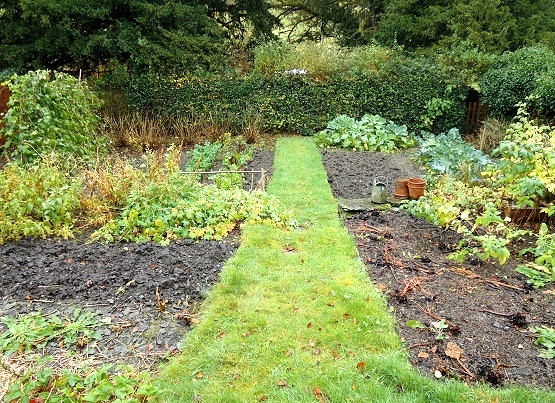 She left almost all her property to the National Trust. Hill Top farmhouse, Sawrey, (given to the National Trust). Armitt Library, Ambleside, holds her watercolours of lichens. A museum to her book the Tailor of Gloucester is run by volunteers in the town.